Eevee---Blender's new real-time rendering engine--seems to be attracting many artists and even studios. It's just too attractive to ignore--especially if collaboration with other big-budget studios is not really necessary. It could be a matter of time even some of them might consider switching to Blender. We are Colory Animation, located in Ho Chi Minh City, Vietnam. We have been operating for about 10 years now, and have quite a few short films of our own. For the last 10 years, we worked entirely on Maya, and have just switched to Blender recently so it’s pretty new to us. 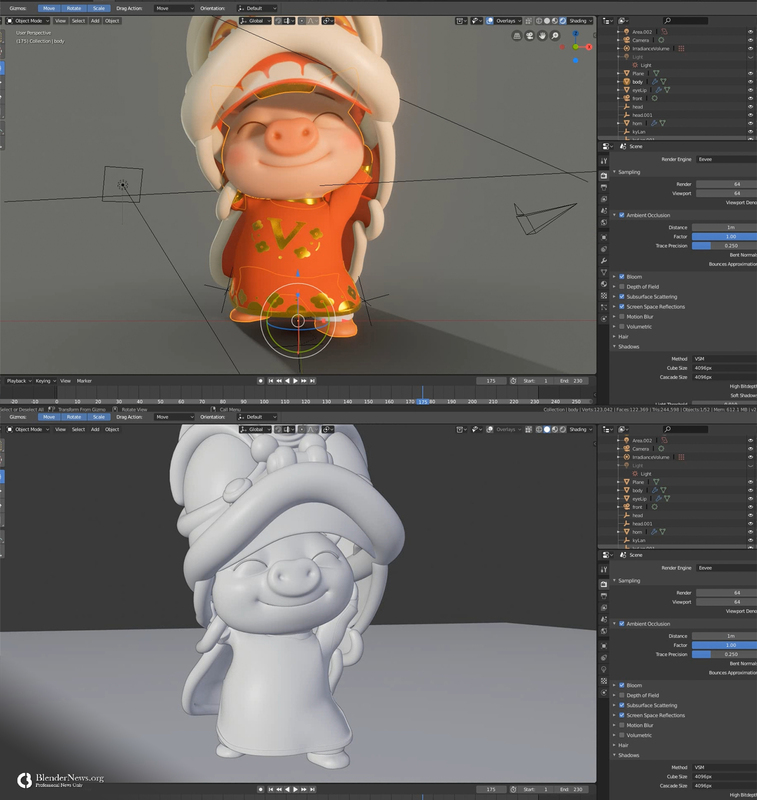 This is a small project we made to celebrate Lunar New Year - Year of the pig.